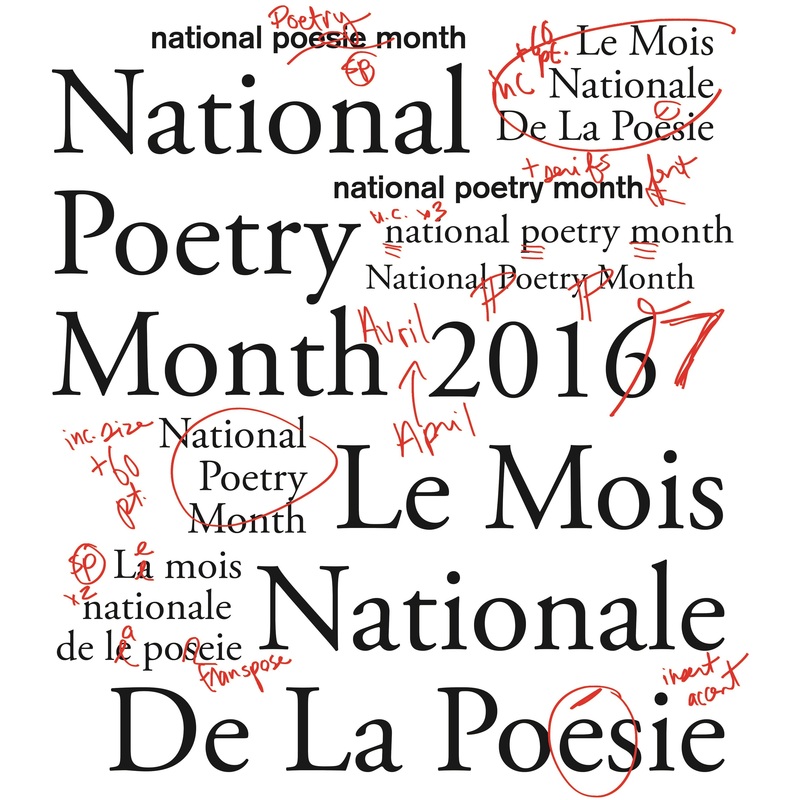 National Poetry Month – Toronto Bound! National Poetry Month is nearing its end, but the energy is far from fading! I’m off to Toronto this weekend for two readings! 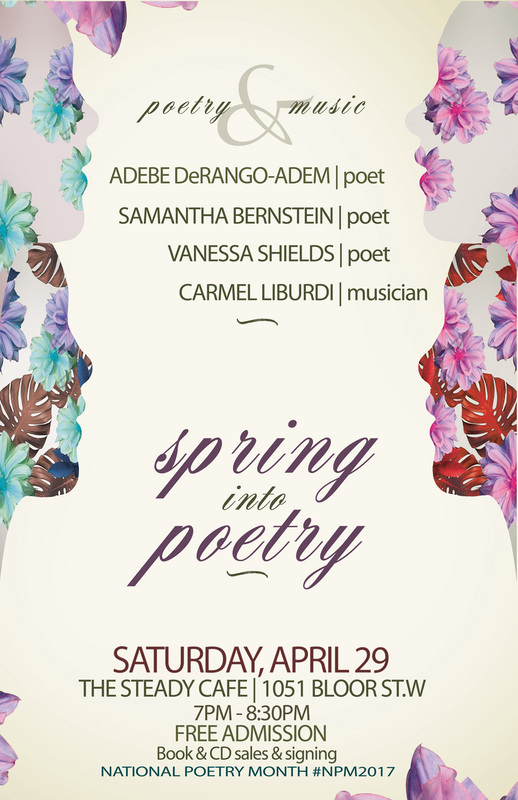 On Saturday night, I’ll be back at The Steady Cafe to share the tiki stage with poets Adebe DeRango-Adem and Samantha Bernstein, and I’ll be bringing musical goddess Carmel Liburdi from Detroit to serenade us! The show starts at 7pm and goes till 8:30pm. Here’s a link to the our Facebook Event page: CLICK HERE! Let me tell you that these women I’ll be sharing the stage with are…what’s the word? Incredible? Powerful? Inspirational? They’re made of the kind of stuff that gives you goose bumps. I’m a fan of their words, and quite frankly, I still can’t believe we’re all reading together! Samantha’s newest book, Spit on the Devil is published by Mansfield Press! I had the honour of reading it, and there is permanent residue of its power on my heart. Here’s my blurb! Adebe’s book, Terra Incognita published by Inanna Publiciations, was short-listed for the Pat Lowther Memorial Award in 2016. I know because I was on that jury and I fell in love with Adebe’s honest and powerful voice, and her strength in self-awareness and identity. Carmel Liburdi is a tireless singer/songwriter from Detroit. She’s a force on the stage with a wit and wisdom that makes your nose scrumple because, well, she’s darn young! When she plays music it moves her whole body and soul – and it will move you too! On Sunday, I’m scootin’ over to the Oakville Literary Café, from 4 to 6 pm at Joshua Creek Art Gallery. The OLC will be announcing the winners of their Poetry Month Contest, as well as hosting me, their first feature reader, followed by their own past host of the Lit Café & poet, Ivy Reiss. Join us to read at the open mic or just come to enjoy the wonderful poetry. Come early to sign up! Thanks for all your support thus far! If you’ve enjoyed these events and others, please share your joy by donating to the League of Canadian Poets or sharing your love with a ‘like’ or a retweet on social media! Previous Post National Poetry Month – Week Four Events! Next Post UNITED WAY KEYNOTE SPEECH #LITERACY! LAST DAY TO BUY TICKETS!